One of the most frequent questions we get is about the time of year that you want to plan your Myrtle Beach golf package and what the weather will be like and what other activities there are to do during your Myrtle Beach golf vacation. 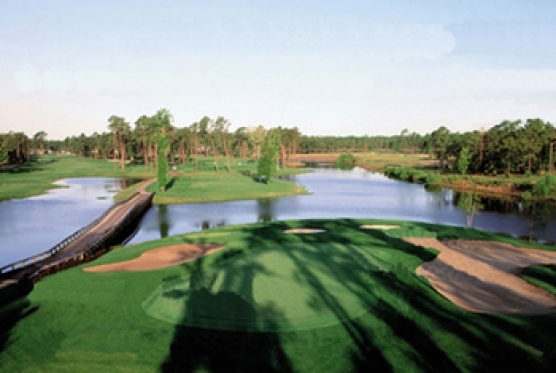 Let’s talk about what to expect for Myrtle Beach golf in November. November is a great time for some Myrtle Beach golf. The weather is very nice for a relaxing day on the golf course with an average temperature of 69 degrees. Some days will a little warmer (perfect for a pull over that you can put on and take off) and some will be a little cooler, but most days will be great. The weather means the sun will be shinning, but you won’t be sweating! The one thing that you will have to contend with for Myrtle Beach golf in November is that the days are shorter. We recommend that you make your tee times prior to 2pm, so that you are finished by 5:30, which is around when the sun sets. The days of playing a quick nine after work are non-existent in the winter! Another reason to plan your Myrtle Beach golf trip for November are the great deals that you can get on hotels, attractions and dining. With it being the off season along the Grand Strand, many businesses will offer discounts and specials to entice visitors to come and visit. Myrtle Beach golf in November also means less crowds – and in return means less time waiting for a table at your favorite restaurant, shorter lines for attractions, less crowded shopping stores and even quicker rounds due to less golfers on the course! Myrtle Beach golf in November is also a great option due to the events are happening during the month at the beach. There are a number of entertainment venues that open their holiday attractions in November. Carolina Opry, Alabama Theatre and even the Palace Theatre have Christmas shows that start in November. If you love the holiday season – Myrtle Beach golf in November is for you. Anytime of the year is good for golfing in Myrtle Beach, but if you enjoy the fall weather, specials, discounts for off season and holiday events – November is your optimal time for Myrtle Beach golf. Call us today to book your next Myrtle Beach golf package for November.